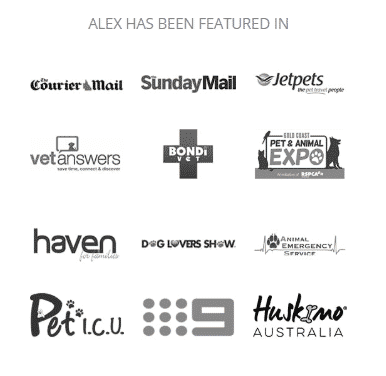 Here at 4DP have been working with Dr Alex Hynes since 2014, and we have thoroughly enjoyed being a part of her personal journey, from deportment training to TV star on Channel Nine’s Bondi Vet, it’s been an incredible ride. Though, we definitely can’t take all the credit, she would have achieved greatness with or without us, but our support has allowed her to be able to focus more fully on her number one passion, helping animals and pet owners through some very traumatic circumstances. major passion, health and fitness. She’s all action, whatever she is doing. Working in the public eye can be pretty demanding at times which is why having that extra support with marketing has been extremely valuable. As mentioned above Dr Alex is an extremely busy person, and together with working in the public domain this makes for an extremely full schedule. Alex wanted to expand her visibility and her personal brand but finding the time to do this was difficult. Because Alex wanted to expand her visibility and her personal brand 4DP have helped her find her ‘voice’ and her target audience. We have developed content and trained her on how to manage the online community herself to help achieve this. We have provided logo development, a style guide and personal branding. 4DP has also organised and coordinated a photo shoot to create a catalog of great images to use on her website, social media and other marketing materials – you can never have enough images to delve into when required for various content.